The popular NatGeo documentary, with seven nominations, could add Emmy wins to its honor roll. As the gap between great TV and great film narrows, so does the gap between their respective awards organizations. Can a project receive Oscars and Emmys? In some cases, the answer is a resounding “No”: The Academy of Motion Picture Arts & Sciences changed its rules after Ezra Edelman’s acclaimed ESPN documentary “O.J. : Made in America” won the 2017 Oscar. Never again, said AMPAS, will a multi-part TV “series” cross our stage. Still, many two-hour documentary films see theatrical debuts before they hit television, which makes them eligible for both Oscars and Emmys. This year’s Oscar winner, “Icarus,” came from Netflix, as did Oscar-nominee “Strong Island.” And they are among the five films in the Documentary Emmy race, along with “Jane” (National Geographic), Matt Heinemann’s “City of Ghosts” (A&E) and “What Haunts Us” (Starz). “Jane” has a chance at seven Emmys, including Exceptional Merit in Documentary Filmmaking, Directing, Editing, Cinematography, Sound Mixing and Editing and Writing. 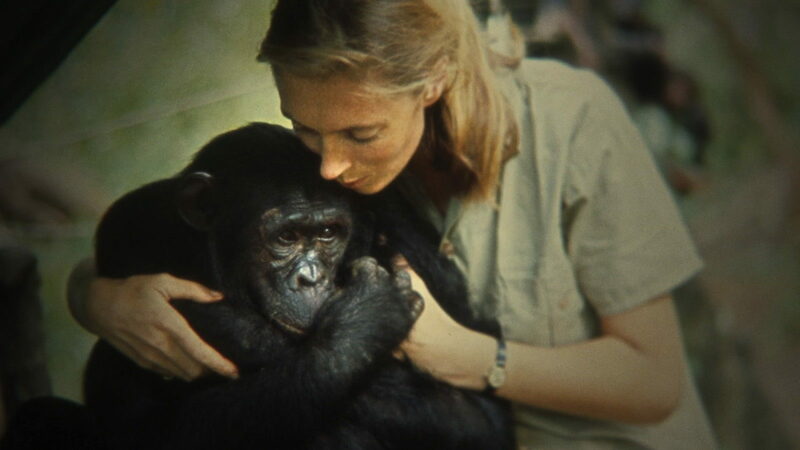 “Jane” may be the favorite, but the question remains: will the factors that cost Morgen’s lauded documentary about primatologist Goodall an Oscar nod also dog its Emmy chances? Here’s some elements to consider. First, the 23,000-strong TV Academy is a much broader and more populist group than the much smaller, often insular Academy documentary branch. Second, Morgen’s a respected filmmaker; he dug into the subjects of his jazzily compelling biodocs “Kurt Cobain: Montage of Heck” and Robert Evans portrait “The Kid Stays in the Picture” with clever graphics and creative editing. And “Jane” was even more accessible and gratifying than his previous work. Right out of Toronto, “Jane” scored rave reviews (Metascore: 87). Back in 2014, Market Road Films producer-director Tony Gerber first pitched to National Geographic Documentary Films the idea of digitizing and culling 140 hours of unedited, silent 50-year-old 16 mm archive footage shot in 1962 of the 26-year-old Jane Goodall. She was sent into the wild by Louis Leakey to observe chimpanzees, and the cinematographer was one of the great nature photographers of all time: Holland’s Hugo Arndt Rodolf Baron van Lawick (10 April 1937 – 2 June 2002). Gerber convinced NatGeo of the rich potential for a revelatory new cinematic portrait of widely covered Goodall, who had been world-famous for decades. But the company decided to develop the documentary with another director, giving Gerber producer credit. He wound up publishing the 2017 cover story “Becoming Jane” in National Geographic Magazine. Morgen figured out that there was a way to edit the film of the 26-year-old scientist’s initial observation of the chimpanzees in Gombe Stream National Park as a romance. As we fall in love with her, so does the man shooting her. Morgen intercuts insect footage also shot by Van Lawick. “It had long been thought we were the only creatures on earth that made tools,” she says in the film. “It was hard for me to believe what I had seen. The crude beginning of tool-making had never been seen before…we must now redefine man or accept chimpanzees as human.” The results of her reports was predictable attempts to discredit the work of a young untrained scientist. To gain more insights into her personal life, however, Morgen asked the now 83-year-old if he could spend two days asking her questions on video. He had to work hard to coax the busy environmental activist to give him more time at her home in Dar es Salaam, Tanzania. Before he sat down with her, the editors had already edited together the narrative, after painstaking hours of organizing the unassembled raw footage into eight categories and figuring out who the diffeOrent chimps were. Morgen got off on the wrong foot at the first interview, asking if the fair Brit ever wore sunblock. She did not laugh. “Jane’s been around filmmaking her whole life,” he said. Initially she fell into comfortable old tropes. She didn’t want to talk about her relationship with Hugo. So on the second meeting he brought the already-cut opening montage to jog her memory. Morgen and his editors wanted to bring the audience along on that romantic ride without giving too much away. The duo marry and have a son, but both eventually allow work to take precedence over their marriage. 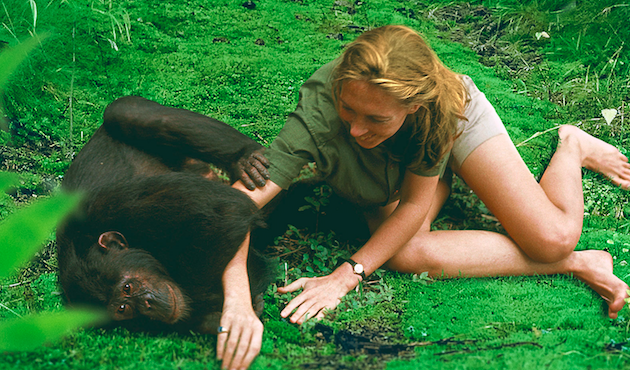 In many ways, Goodall was ahead of her time. The movie even played, with a live orchestra performing the rousing Philip Glass score, for a huge audience at the Hollywood Bowl. Finally, some documentary filmmakers thought the movie was more a triumph of editing by Joe Beshenkovsky and Will Znidaric than something “created” by Morgen (who also earned an editing credit). Maybe he was a tad too confident and the movie too well-hyped for their taste. And NatGeo’s free-spending promotion on the movie may have backfired with persnickety Oscar voters. The branch also got wind of Gerber’s initial detailed pitch, which was emailed around. The movie scored at New York, London and other fall festivals before opening in theaters on October 20 via Abramorama and grossing $1.7 million — not bad for a documentary. NatGeo aired the film on March 12, a week after the Academy Awards.